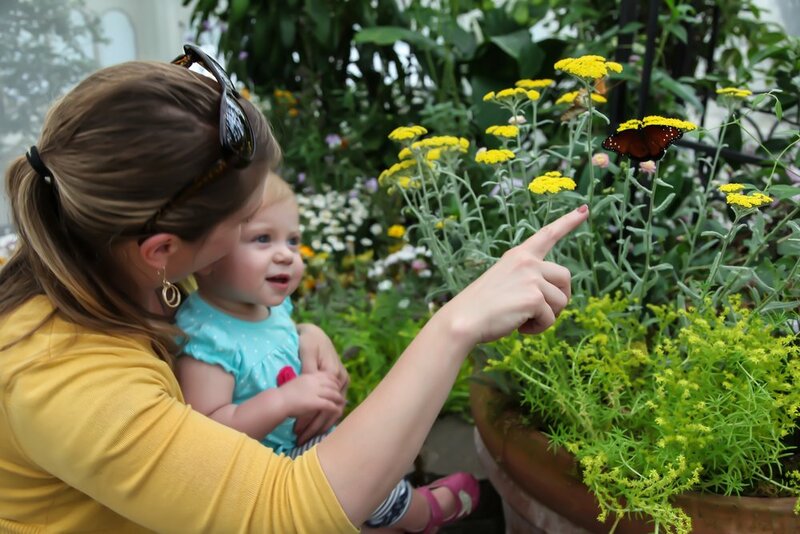 Get eye to eye with a butterfly in the exhibit Butterflies & Blooms coming to the Conservatory of Flowers in Golden Gate Park this fall. 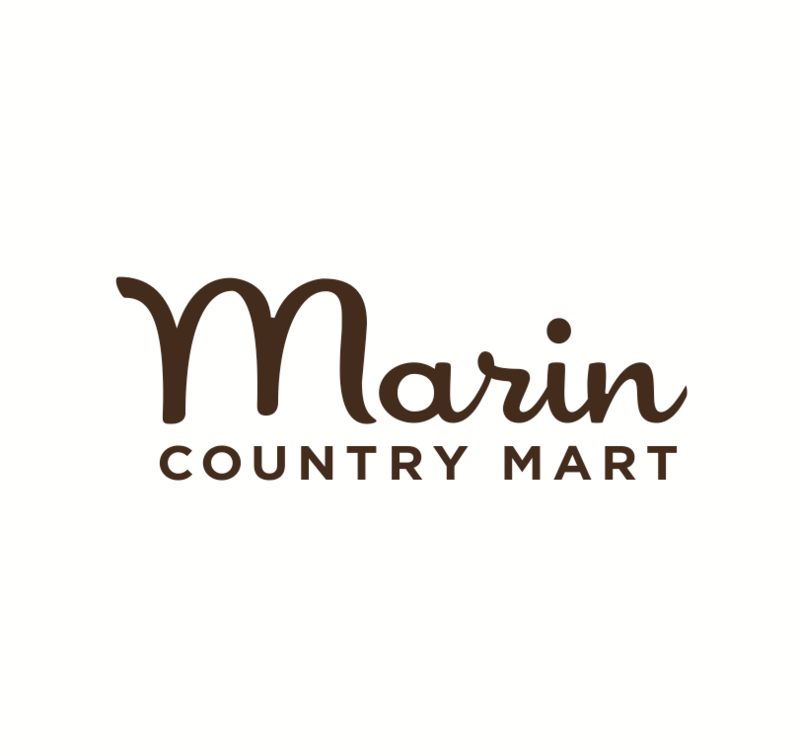 The popular exhibit returns by overwhelming demand to San Francisco’s beloved Victorian greenhouse, transforming its Special Exhibit gallery into a beautiful and intimate cottage garden aflutter with hundreds of butterflies on the wing including magnificent monarchs, western swallowtails, painted ladies and more. 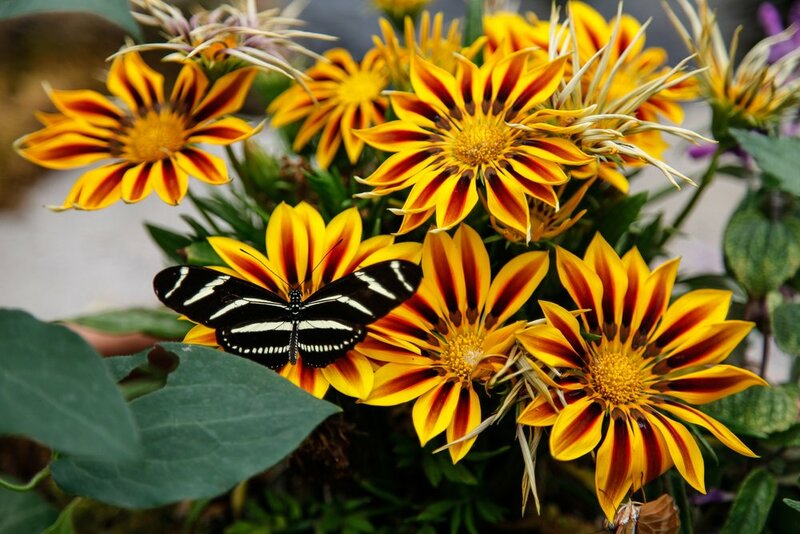 Walk among a wide variety of brightly colored blossoms like zinnias and daisies while free-flying butterflies flit from flower to flower, drinking nectar and getting covered in pollen. These goodwill ambassadors of the insect world provide a fascinating demonstration of plant pollination in action. 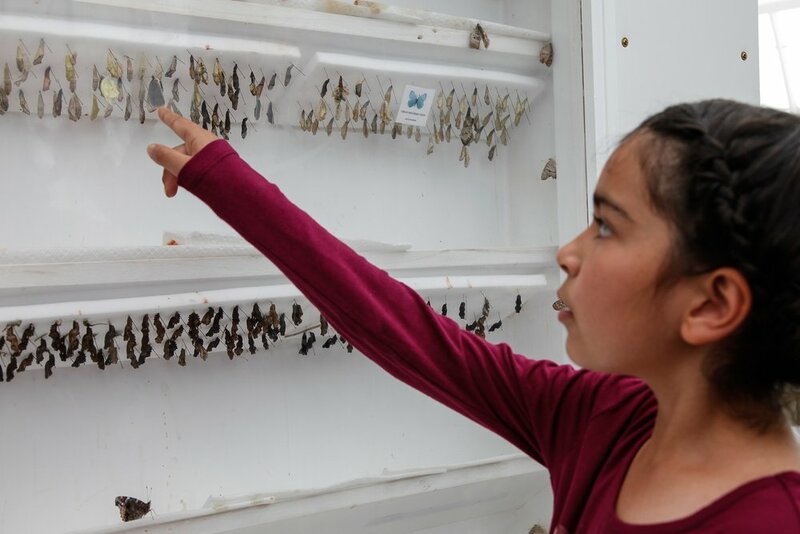 The Butterfly Bungalow at the entrance to the gallery also allows you to observe the pupae in their chrysalis stage. You never know, you may be lucky enough to catch the moment when one of these delicate beauties emerges. 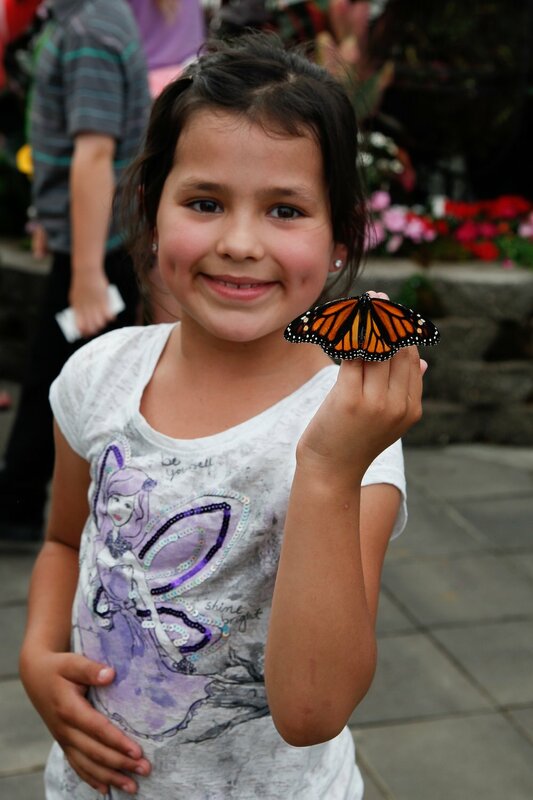 And anyone can become a member of the Butterfly Patrol for just a $20 donation to learn how to release a newly emerged butterfly into the exhibit. Patrol members receive complimentary people-sized antennae and a special badge to take home. November 17, 2016 – June 30, 2017. Closed Mondays.